Lydia I. Beebe currently serves on the boards of directors of Kansas City Southern and Aemetis Inc.  She is on Kansas City Southern's Nominating and Governance Committee, as well as on Aemetis' Audit Committee and Governance, Compensation and Nominating Committee, which she chairs. Lydia was a member of the board of directors of HCC Insurance Holdings, Inc., serving as chairman of the Nominating and Governance Committee and a member of the Compensation Committee, until its acquisition by Tokio Marine in late 2015. She currently serves as Co-Director of the Stanford Institutional Investors' Forum and Chairman of the Board of Directors of the Northern California NACD Chapter. In April 2015, she retired as corporate secretary and chief governance officer of Chevron Corporation, where, since 1995, she served as secretary to the board of directors, the Executive Committee and the Board Nominating and Governance Committee. Beebe provided advice and counsel to the board of directors and senior management on corporate governance matters and managed the company's corporate governance function. She was Senior of Counsel at Wilson Sonsini Goodrich & Rosati from June, 2015 until July, 2017. She continues to advise boards of directors on governance matters. Throughout her career, Lydia has been active on many public and non-profit governing boards. In 2003, President George W. Bush appointed her to the board of directors of the Presidio Trust, where she served until 2008. Governor Pete Wilson appointed Beebe to the California Fair Employment and Housing Commission in 1991, where she was chairperson from 1995 through the end of her term in 1999. In recognition of the accomplishments made during her tenure leading the commission, she was honored in 2009 as a Civil Rights Hero by the state of California. From 2008 until 2014, Lydia served on the governing board of the National Judicial College and was awarded the Advancement of Justice Award in 2015. 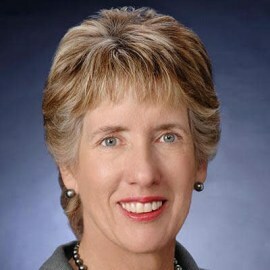 She has also served on the governing boards of International Women's Forum of Northern California, Professional Business Women of California, the Society of Corporate Secretaries and Governance Professionals, the Council of Institutional Investors, and the San Francisco Municipal Fiscal Advisory Committee. She has been active on the governing boards of the Kansas University Endowment Association, Kansas University Law Alumni, the Olympic Club, Golden Gate University, and the San Francisco Symphony. She is a frequent speaker and panelist on corporate governance topics. Lydia has been named Corporate Secretary of the Year by Corporate Secretary magazine and a distinguished alumna by both Golden Gate University and the University of Kansas School of Law. She received lifetime achievement awards from both the Professional Business Women of California and the Corporate Secretary magazine. In May 2010, she received the Founder's Award for exceptional business leadership from the Women's Initiative for Self Employment. She received the Breakthrough Award from the Professional Business Women of California in 1996. The San Francisco Business Times has named Beebe one of the most influential businesswomen in the Bay Area every year since 1999.